Here is a map shows territory of Russia. Displayed city Kol'chugino marked. On this map town Yur'yev-Pol'skiy free download. You can find here town Lakinsk free download. town Bavleny presented. On this map town Belaya Rechka download for free. town Berendeyevo free download. Zolotukha free download. Displayed Zinov'yevo presented. You can find here Zinov'yevo for Garmin. You can find here Zhiroslavskoye download for free. You can find here Zherekhovo presented. You can find here Zherdevo free download. Displayed Zheldybino marked. Zhary download for free. Displayed Zelenaya Polyana free download. 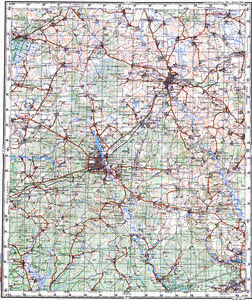 On this map Zavalino download for free. You can find here Zagor'ye presented.